We made some new items for the Humane Society Christmas Bazaar this year. They were fun and easy to make, and came out as adorable gifts! We'd like to share them with you in case you know of special doggies that would enjoy them! 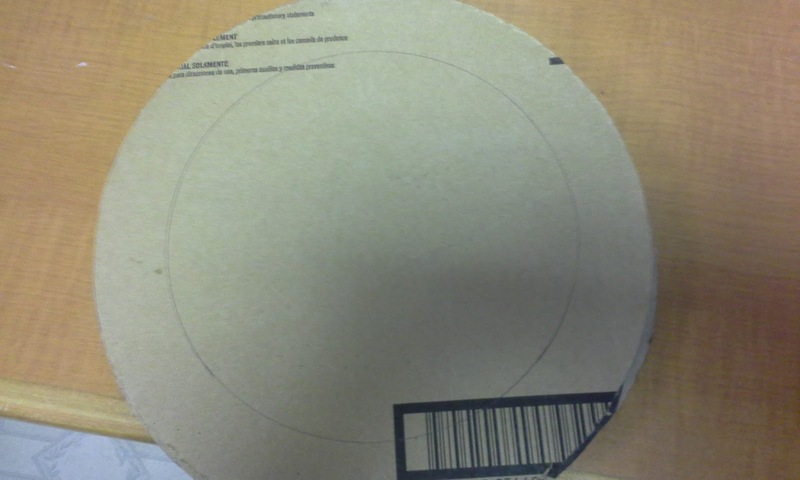 Cut a wreath shape out of sturdy cardboard. 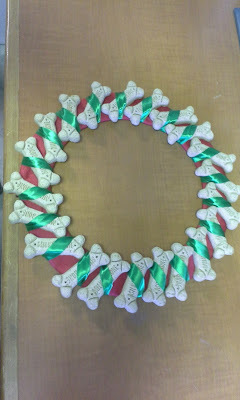 I used two different sized dog bowls to trace the wreath shape to help keep the circles even all the way around. 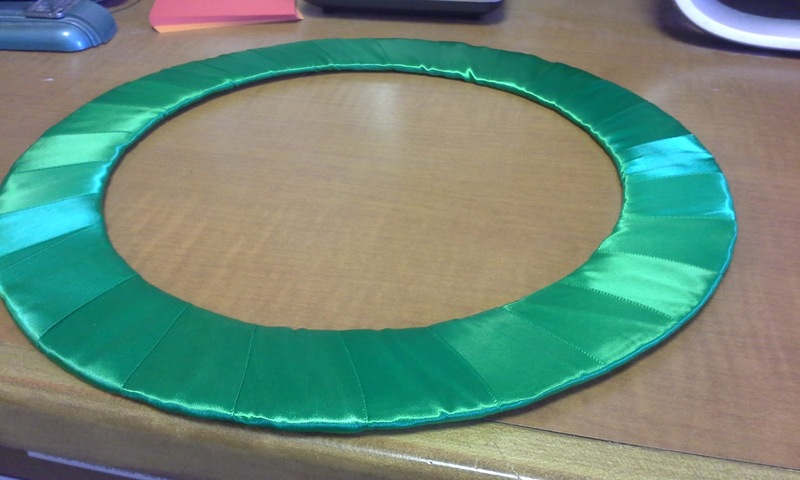 Wrap wide ribbon evenly around the wreath shape. 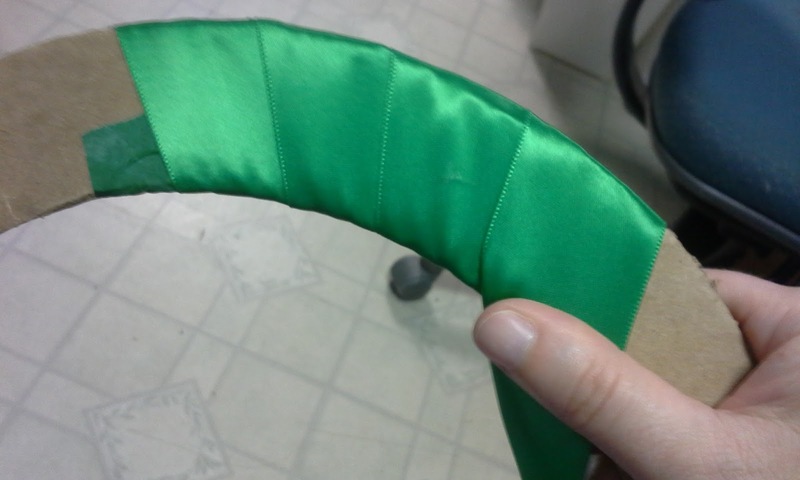 I anchored the ribbon with masking tape on one end. As you wrap, keep tension on the ribbon to keep it smooth against the wreath form. Tie or tape the end of the ribbon at the back of the wreath once it is entirely wrapped. 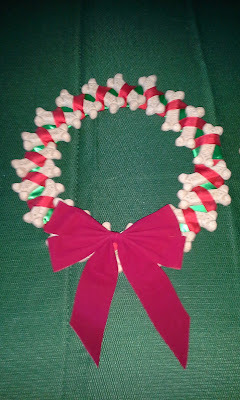 With a narrow ribbon (I used a different color to make it more festive), add the dog bones. Anchor the ribbon on the back with tape or tie it in a knot so it holds better. 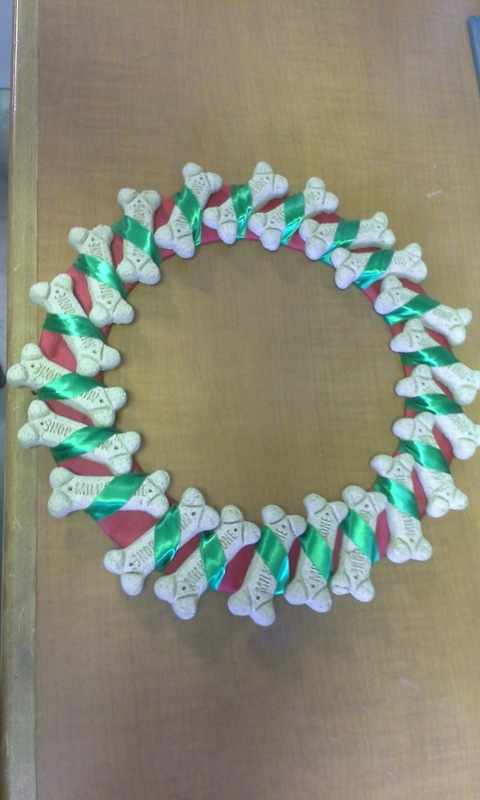 Wrap it around the wreath as you did with the wider ribbon, but with each pass around, add a dog bone. Hold tension all the way around so the bones don't fall out. Tie it in the back of the wreath when you're done to hold them all in place. Add a pretty bow! Then hang it up ... out of your dog's reach! You can help your dog to eat the treats while he/she waits for Christmas Day to come! Ribbon is not safe for dogs, so keep the ribbons out of your dog's reach.